I bought my favorite Hijokaidan’s album, “Modern”. I had this CD in the past but I got this one again. I can hear more texture than before. I hear something new every time I listen to. Noise, 74 minutes. Feels like being released. Purification. 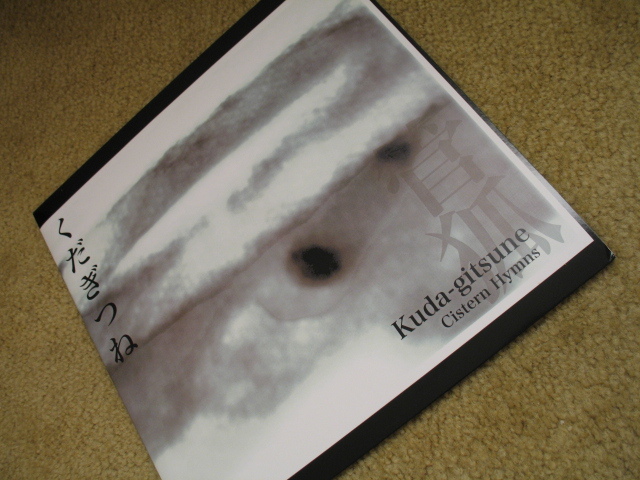 Kuda-gitsune performed on January 17. More than a month ago! Procrastinating to write this blog too much… I gave up with many SNS, however this blog is a most long-lasting yet. Anyway, The live was at The Battery Books & Music in South Pasadena. Surrounded by nice smell of used books, we (me and Ken) could perform in good mood. There weren’t many audience, but a few people listened eagerly. I was so pleased one of them bought our record! I designed the artwork as well. This is created upon the picture I took, the ruins of loading deck for semi trailers.